HOLIDAY DECORATIONS HUNT! | The Cookie Jar! Runs November 24th – December 15th. This is a hunt for Home & Garden stores only! Hunt Theme – Tis the Season for decorating the house, yards and spaces for the most wonderful time of the year – The Christmas season. So put on your creative caps and think pretty sparking – red and green – holiday decorations! Furniture – plants – anything for the holidays. Posted in Cookie Crumbs. Bookmark the permalink. The Cookie Jar Blog!!! This is our little slice of the web to bring you all the latest titbits from the jar! 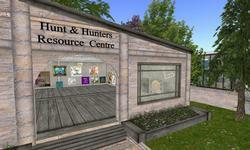 a house and garden themed sales room with new and exclusive items from a collection of designers at amazing prices! 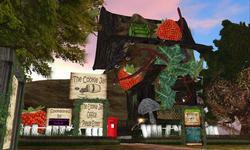 The Cookie Jar is a community of experienced and beginning builders of home and garden items. Everyone is welcome — no matter your experience level. Bring your friends and shop for quality home and garden items. Can't find something you're looking for? Join the Cookie Jar Group and ask for help.